PORTLAND, Ore. – Known for assembling a prestigious lineup of winter beers, the 20th annual Holiday Ale Festival will take place Dec. 2 through Dec. 6 at Pioneer Courthouse Square, located at 701 SW Sixth Avenue in the heart of downtown Portland. Event hours are 11am to 10pm Wednesday through Saturday, and 11am to 5pm Sunday. 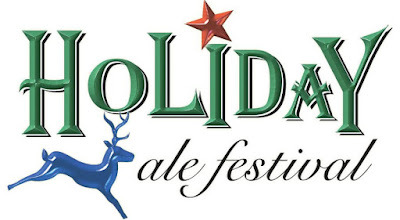 The Holiday Ale Festival is for ages 21 and over. What makes this festival standout from other events is the beer selection: the festival works with every brewery involved to make sure they send a beer that has either been made or blended specifically for the event, or is a rare or vintage beer that isn’t commonly tapped in the state. More than 50 beers and ciders will be in main lineup; a list of participating breweries and styles is available at www.holidayale.com. Despite being held outdoors during one of the coldest months of the year, nearly 14,000 festival attendees stay warm and dry over the five-day festival under clear-topped tents that cover the venue. Gas heaters create a cozy ambiance beneath the boughs of the region's largest decorated Christmas tree. In addition to beer tasting, the festival also features meet the brewer events, a root beer garden, food vendors, self-guided beer pairings with cheese, event merchandise and a coat/bag check and raffle that raises funds for the Children's Cancer Association. To enter and consume beer, the purchase of an entry package is required. Advance general admission packages cost $35 and include the 2015 tasting cup and 14 taster tickets, plus expedited entry all five days. General admission at the door is the same price, but includes only 12 tickets and no expedited entry. Advance VIP packages cost $100 and include the tasting cup, 30 taster tickets, special VIP beer lines with little to no waiting, exclusive VIP only vintage beers, bottled water, and express entry all five days. VIP tickets are limited to 250 and are not available at the door. All advance packages will go on sale by the first week of October via the website. Once inside the festival, a full beer costs four taster tickets, and a taster costs one ticket. Certain limited release and special tappings may not be available in full pours, or may cost double tickets. Additional beer tickets can be purchased for $1 apiece. Previous years’ mugs will not be filled. Express re-entry requires a wristband and the 2015 tasting cup, and is subject to the festival's capacity. Designated drivers in a party of two or more may purchase a designated driver wristband for $15, which includes Crater Lake Root Beer or bottled water for the duration of the stay; the festival will match all Designated Driver tickets sold as well as root beer sales and donate all the proceeds to the Children's Cancer Association. Returning to the event is the 12th annual Sunday Beer Brunch, taking place Dec. 6 from 11am to 1pm on the upper level of Pioneer Courthouse Square. Ticket holders are greeted at the door with a warm pastry paired with vintage Brasserie Dupont Avec les Bons Voeux. The auxiliary event features European pastries, cured meats and artisanal cheeses to accompany an assortment of exclusive vintage draft and bottled winter beers not available at the festival itself, plus several special large format bottles to be shared during the event. Tickets cost $80 and will be available at www.holidayale.com in late September. 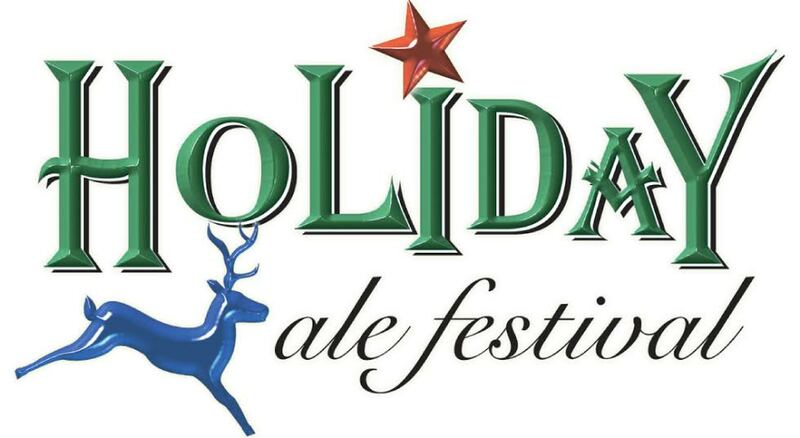 follow the event @HolidayAleFest on Facebook and Instagram and @HolidayAle on Twitter, hashtag #HAF15. New Belgian Brewing Releasing Hop Stout.